The Best Dessert blogs from thousands of top Dessert blogs in our index using search and social metrics. Data will be refreshed once a week. Also check out Dessert Videos from Best 20 Dessert Youtube Channels. 2.31 Chocolate Chocolate and More! Dessert newsletter is a comprehensive summary of the day's most important blog posts and news articles from the best Dessert websites on the web, and delivered to your email inbox each morning. To subscribe, simply provide us with your email address. Knoxville, TN. About Blog An award-winning baking and desserts blog with hundreds of recipes and photo tutorials. Run by Heather Baird. Facebook fans 270,085. Twitter followers 14,524. North Carolina About Blog Author, photographer, and dessert enthusiast. Making the world better one chocolate chip cookie at a time. Run by Ashton. Facebook fans 183,592. Twitter followers 8,466. Provo, Utah About Blog Easy Dessert Recipes. A website so good you will want to eat your computer screen. Facebook fans 201,935. Twitter followers 1,864. Austin, TX About Blog Desserts with Benefits is a healthy dessert recipe blog where we make dishes that you can feel good about eating! Run by Jessica. Facebook fans 19,490. Twitter followers 1,995. About Blog Relais Desserts, the excellence of pastry. For more than 35 years, Relais Desserts has brought together the world's elite of the French Haute Pastry in order to spread it all over the world. Facebook fans 54,773. Twitter followers 5,089. Reading, PA About Blog Sweet Street Desserts offers an evolving, extraordinary online selection of luscious gourmet cupcakes, desserts, gourmet pies, cakes, dessert bars, cheesecakes, dessert brownies, and more. Facebook fans 25,995. Twitter followers 2,053. About Blog Learn to create and share delicious dessert, cookie, cupcake and drink recipes in your home from scratch with easy-to-find ingredients AND little effort. Food never tasted so good! Facebook fans 14,132. Twitter followers 1,269. San Francisco About Blog Dessert First is a dessert website written by Anita Chu, a San Francisco native with a passion for pastry! Run by Anita Chu. Facebook fans 6,682. Twitter followers 5,193. New York City About Blog By eliminating the top 8 most common allergens, we're able to make a plant based ice cream that is sugar and fat free, while being only 100 calories per pint! Facebook fans 18,665. Twitter followers 2,965. New Jersey About Blog Cookies & Cups is a full dessert resource website. We specialize in simple recipes for all occasions perfect for the home cook. Run by Shelly. Facebook fans 2,055,167. Twitter followers 10,438. About Blog My Tartelette is a best cake & dessert recipes and tips site. Discover easy,healthy and delicious recipes . Facebook fans 128. Twitter followers 2,016. About Blog Find Dessert ideas, recipes & menus for all levels from Bon Appétit, where food and culture meet. Facebook fans 1,562,897. Twitter followers 1,486,934. India About Blog Veg recipes of india - most popular indian food blog sharing vegan and vegetarian recipes of india. All desert recipes are tried and tested. Facebook fans 1,424,773. Twitter followers 2,086. Facebook fans 1,021,202. Twitter followers 34,484. Kansas City, MO About Blog Whole Foods, desserts and Vegetarian Recipe Blog. Facebook fans 66,041. Twitter followers 14,557. Facebook fans 162,152. Twitter followers 12,311. Facebook fans 606,372. Twitter followers 6,599. New York, NY About Blog Lauren’s Latest is a pro recipe developer pumping out family-friendly food recipe plan, favorite restaurants and family milestones. Facebook fans 1,053,144. Twitter followers 15,590. Seattle, WA About Blog Wholesome baking and dessert recipes for a happy soul. Facebook fans 24,297. Twitter followers 2,968. About Blog ASweetLife provides homemade Diabetic Dessert Recipes for every occasion. Facebook fans 9,081. Twitter followers 4,125. Indianapolis About Blog Skinny chick blogger who adores baking...with 3 hungry kids and a chocoholic hubby who love to eat! Facebook fans 139,773. Twitter followers 15,013. Brooklyn, NY About Blog Pamela Reed shares easy to make recipes, urban gardening tips and the journey of becoming a Mom in NYC. Sit back and make a casserole or bake some donuts. Facebook fans 61,050. Twitter followers 10,218. Victoria About Blog Sweet. Sinful. Simple dessert recipes. Facebook fans 161,714. Twitter followers 910. Facebook fans 9,403. Twitter followers 1. Facebook fans 26,605. Twitter followers 857. 31. Chocolate Chocolate and More! Founded in Byron, GA About Blog We are a family that loves baking, good food, good times spent with family and friends, and exploring new places. Many of our most cherished family times have been cooking together in the kitchen at holidays or family gatherings. Virginia, USA About Blog Saving room for the best parts of life! Amazing desserts – delicious mains – healthy treats – easy to read recipes – and adventurous travel. Run by Tricia Buice. Facebook fans 11,357. Twitter followers 161. Brooklyn, NY About Blog Hello, my fellow bakers! I’m Jennifer, the baker behind Bake or Break. I began detailing my baking adventures here in 2006, and it has been quite a journey. I am a self-taught baker who enjoys sharing simple and delicious baking recipes with all of you. Facebook fans 102,632. Twitter followers 5,484. Texas About Blog Making magic in my tiny kitchen. Facebook fans 17,065. Twitter followers 1,300. Portsmouth, England About Blog My Baking Journey, Cakes, Traybakes, Cupcakes, Cheesecakes and more - so many sweet recipes to satisfy your craving! Facebook fans 75,511. Twitter followers 4,572. Brisbane, Australia About Blog Easy, fun, SUPER delicious food for anyone who loves to eat! My blog is like a punch in the face from the sweeter things in life - I bring the good stuff, and I bring it HARD. Here you'll find recipes for cakes, desserts, street food, pizza, burgers, ice cream and anything else that looks delicious, plus food videos, travel and kitchen advice. Run by Sarah. Facebook fans 13,095. Twitter followers 3,109. Seattle, WA About Blog Recipes for desserts, baking and cooking with beer that marry my love of food and good craft beer. Facebook fans 23,193. Twitter followers 8,529. About Blog Bake to the roots is a food, desserts and baking blog where you can find recipes for cupcakes, cakes, tarts, cookies, bread and much much more! Facebook fans 9,709. Twitter followers 876. Brooklyn, NY About Blog Hi, I’m Chanie and I’m a full time food writer/photographer with four beautiful kids and a hardworking husband. I keep busy in Brooklyn blogging about my cooking adventures. Facebook fans 10,885. Twitter followers 1,649. Brisbane About Blog Create Bake Make is where I share stories of our life, challenges, and of course lots of delicious dessert recipes! Facebook fans 144,130. Twitter followers 854. Minneapolis About Blog Eat dessert first. Zoe is a pastry chef, food writer, dessert lover. Facebook fans n/a. Twitter followers 12,301. Facebook fans 17,632. Twitter followers 10,794. Minneapolis, Minnesota About Blog There is such value to what we are actually making. The dishes and meals we make for loved ones, and the act of preparing them: to cook and bake and eat them together connects us beyond the physical. Facebook fans 19,407. Twitter followers 5,691. Melbourne, Australia About Blog A blog of baked goods and dessert recipes. Facebook fans 15,792. Twitter followers 669. Toronto, Ontario About Blog Ola. I am Meris. And this is my cheesecake journey. I first baked a cheesecake seven years ago. Ever since, I have been documenting my process, my love and hate, and my completely insane obsession for this delicate dessert through my blog which has been through its own ups and downs. I love telling a good story, be it in writing or through photographs. California About Blog Sweets and other eats. Run by Stephanie. Facebook fans 13,349. Twitter followers 3,249. Facebook fans 2,058. Twitter followers n/a. UK About Blog Welcome to Giraffes Can Bake - a blog full of delicious, sweet recipes that are perfect for entertaining or a family dessert. Life's too short to skip dessert. Facebook fans 8,893. Twitter followers 1,006. Facebook fans 5,494. Twitter followers 12,449. New York About Blog We believe that nutritious can be delicious but that occasional indulgence is also necessary for a happy life. A blog for sharing recipes, restaurant and travel reviews, photography and lifestyle commentary. Facebook fans 9,002. Twitter followers 2,004. Birmingham, UK About Blog Vegan recipes, vegetarian recipes, healthy food, desserts and lifestyle. Facebook fans 9,321. Twitter followers 2,427. Minnesota, USA About Blog Emilie shares her love for all things sweet with delicious photo dessert recipes, cake decorating techniques and ingenious use of sugar to satisfy sweet cravings and enjoy the sugar high. Facebook fans 3,851. Twitter followers 1,480. New York, NY About Blog Delicious recipes for worth-it desserts. Formerly owner of online bakery, Keep It Sweet Desserts. Run by Lauren C Lilling. Facebook fans 4,061. Twitter followers 2,879. United States About Blog Without desserts, life would not be as sweet. Facebook fans 7,544. Twitter followers 4,040. Manchester About Blog SpamellaB's Health Food Blog features High protein, gluten-free, low/no added sugar and healthy versions of sweet desserts, cakes and bakes, along with meals and snacks. Facebook fans 1,519. Twitter followers 13,069. San Diego, CA About Blog Vegan Raw Desserts, Naturally Healthy Desserts is created for anyone who loves dessert but is trying to live a healthy lifestyle! Run by fitness expert Laura Marquis. Facebook fans 1,364. Twitter followers 235. Salt Lake City, UT About Blog Gem City Fine Foods began as a small local bakery (then called Blossom Fine Foods) in Salt Lake City in 2005. We recognized the need for truly delicious quality gluten free foods, moved into a dedicated bakery facility in 2012, and now produce exclusively certified gluten free gourmet desserts. Facebook fans 811. Twitter followers 278. Facebook fans 773. Twitter followers 193.
berkeley, california About Blog My permanent dessert goggles make me see recipe potential nearly everywhere! Adventurous, original dessert recipes. Run by Moriah. Facebook fans 655. Twitter followers 153. About Blog Doing my part to keep bakeries in business. New York About Blog Cocktail-inspired, alcohol-infused truffle cake balls. Based in New York City, Twisted Truffles offers custom orders for special events and daily treats. Facebook fans 273. Twitter followers 33. Philadelphia, PA About Blog I'm Atalee, A girl who isn’t afraid to embrace all her guilty pleasures; my sweet tooth, wanderlust, my love for fashion and my not so tiny obsession with shoes. I’m excited to take you all on this delicious journey with me. Guilty Pleasure is a Desserts blog with a sprinkle of wanderlust and lifestyle. Facebook fans 12. Twitter followers 427. About - Hi, I’m Kate, a UK food blogger and cookery writer. I’m unashamedly obsessed by vegetables, whether they’re in my breakfast, lunch, dinner or dessert. About - Martha Collison is a young British baker and recipe writer. She currently lives in Brighton, where you will find her mostly in the kitchen, cooking and writing away. About - Crumbs & Doilies produces the best-tasting and best-looking cakes, bakes & cupcakes people have ever tasted or laid eyes on! About - A baking and food blog by a London girl living in Berlin. Loads of great recipes from cakes, donuts, cupcakes and baked goods to healthy, easy meal recipes! 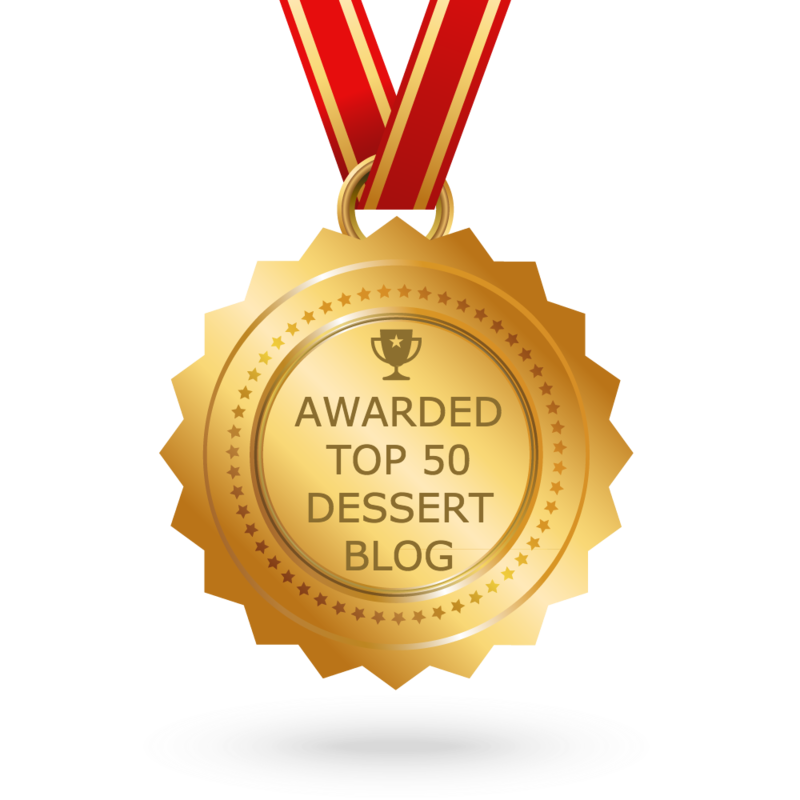 CONGRATULATIONS to every blogger that has made this Top Dessert blogs list! This is the most comprehensive list of best Dessert blogs on the internet and I’m honoured to have you as part of this! I personally give you a high-five and want to thank you for your contribution to this world.